Fifty years ago today, 73 million Americans tuned into The Beatles’ first appearance on The Ed Sullivan Show. Undoubtedly, a large number of Arizonans contributed to this record-breaking viewership figure by watching the show on KOOL (channel 10) in Phoenix and KOLD (channel 13) in Tucson, then the state’s CBS affiliates. 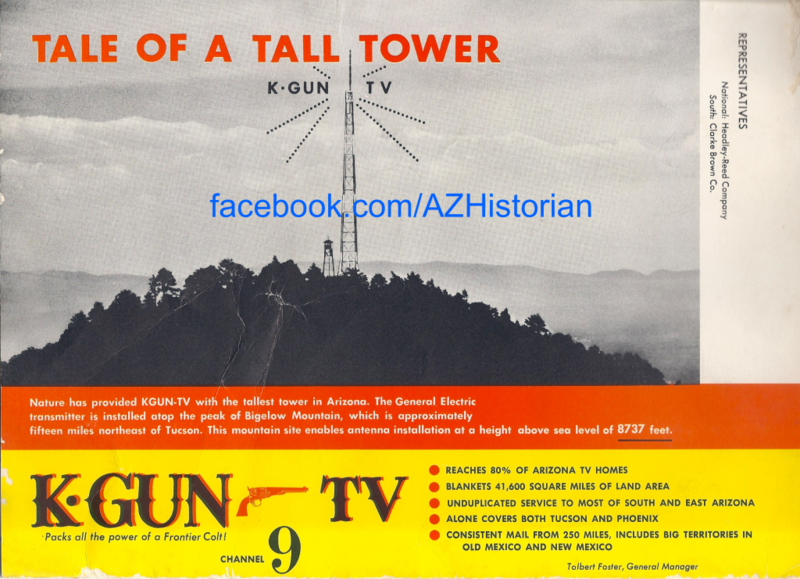 Although both KOOL and KOLD – both of which no broadcast under different call letters – were early entrants in Arizona’s television market, Phoenix’s KPHO (channel 5) was the first Arizona-based station to broadcast television signals to Grand Canyon State residents. KPHO first transmitted programming on December 4th, 1949, marking the beginning of a long legacy carried on by the station to this very day. While initially affiliated with all three major networks, maturation of the Phoenix television industry resulted in the channel operating independent of an affiliate for many years prior to its 1994 transition back to CBS. Despite the changes in network affiliation, the channel’s earliest days are still reflected in its still-in-use KPHO call letters and its original 1949 transmitter tower perched atop Phoenix’s Westward Ho building more than five decades after its replacement by a tower at the summit of Mount Suppoa in the South Mountains. KOOL and KOLD, the Arizona CBS affiliates that registered unprecedented ratings on the night of February 9th, 1964, both came online in the 1950s. The big names have long since left the local television business, which is now largely controlled by large, out-of-state corporations vying to maximize profitability in a highly competitive environment that pits their stations against cable networks and Internet sources in addition to their local competitors. This situation differs greatly from the early years of Arizona television that were characterized by a significant amount of local programming (any Wallace & Ladmo fans out there?) and a good-natured race to claim superlatives for promotional purposes. These much-touted achievements include KPHO’s title of first station in the state, KTVK’s onetime slogan of “Arizona’s First Color Television Station,” KOLD’s tagline of “Arizona’s Color Station” stemming from its first-in-market color capabilities, and KGUN’s boast of having “the tallest tower in Arizona.” Of course, for legions of screaming teenage television viewers glued to the tube fifty years ago tonight, network affiliation trumped any of the superlatives claimed by Arizona stations. By virtue of serving as CBS affiliates and, by extension, the local home of The Ed Sullivan Show, KOOL and KOLD won a coveted spot in the memories of many excited Baby Boomers.